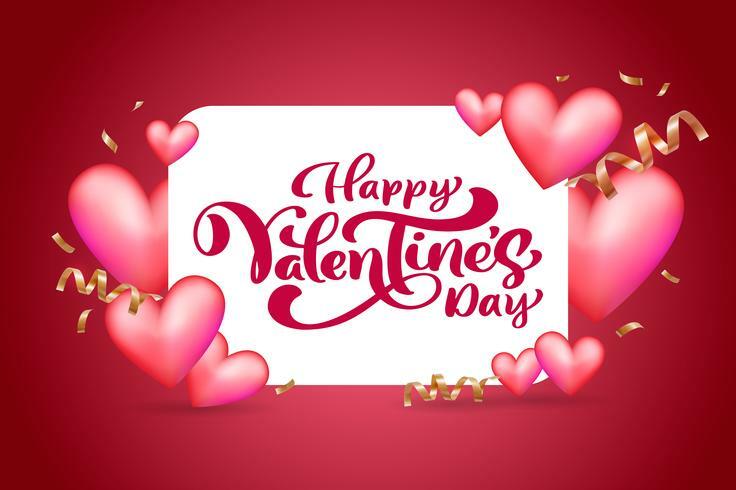 Vector text Happy Valentines Day typography design for greeting cards and poster. Valentine quote on a red holidays background. Design template celebration illustration. Forever card. Hand drawn lettering text background. Ink illustration. Modern brush calligraphy phrase. Isolated on white background. Hand drawn lettering element for your design.